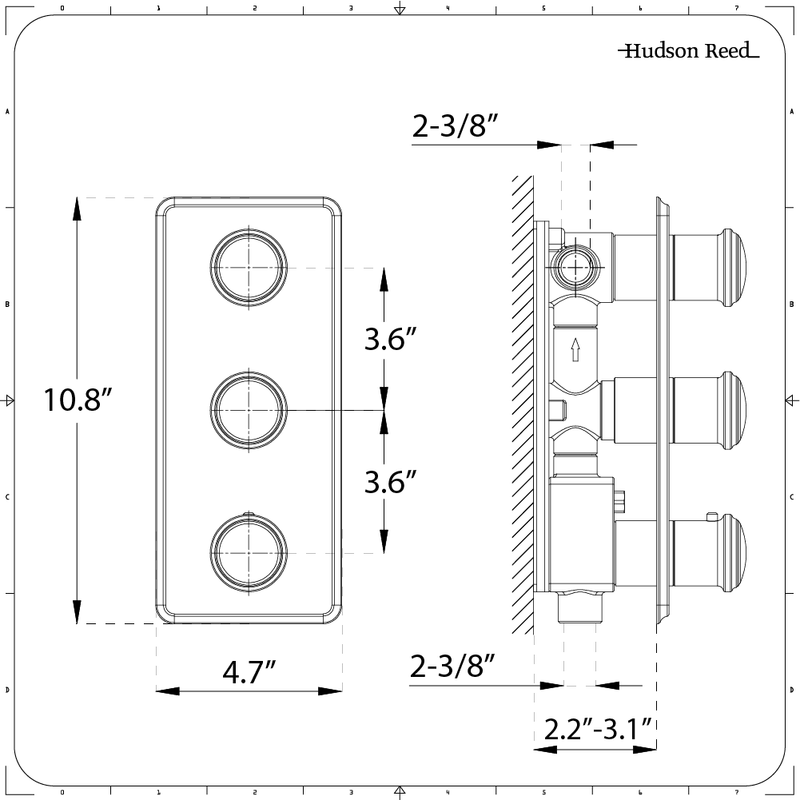 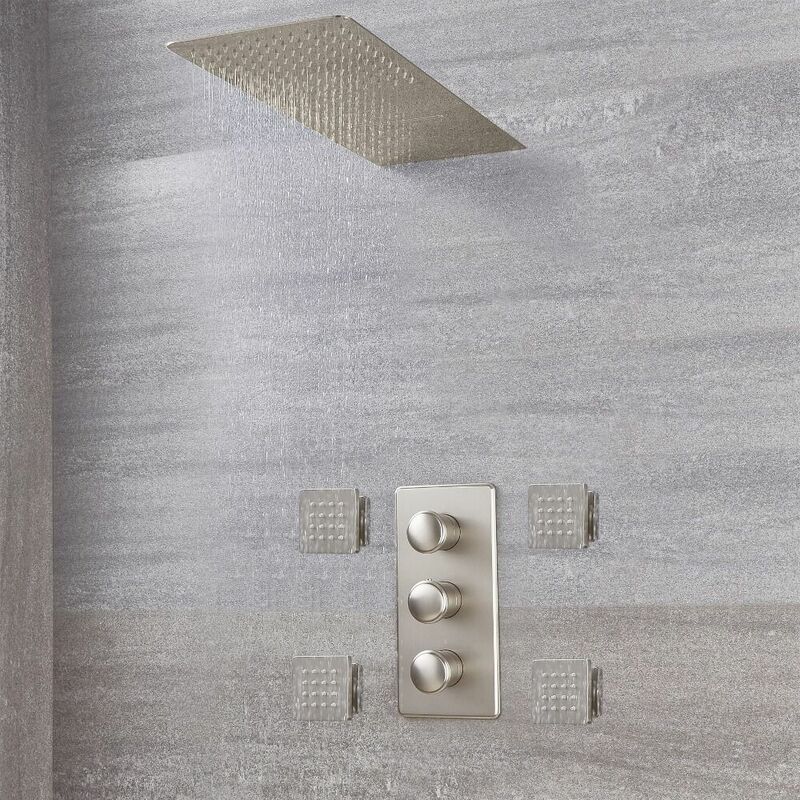 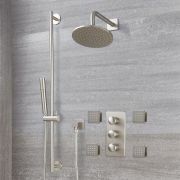 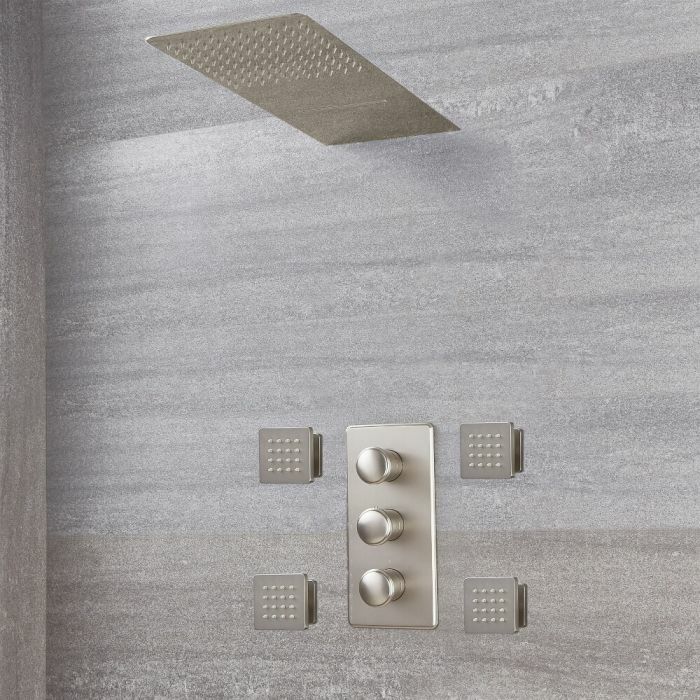 Upgrade your bathroom look and enjoy a spa-like showering experience with this Eclipse triple thermostatic shower valve, two outlet shower head and body jets. 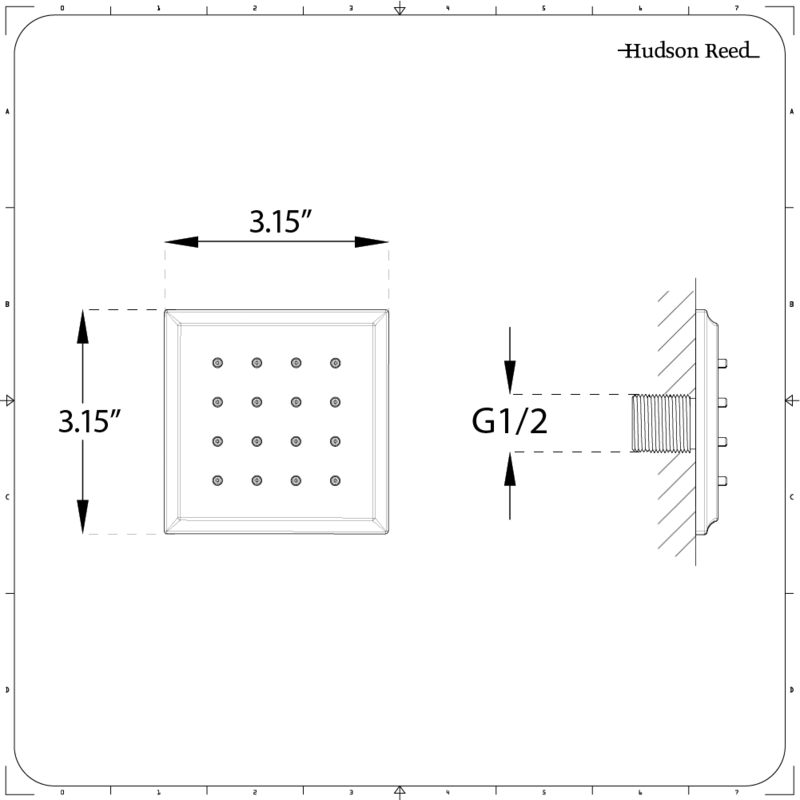 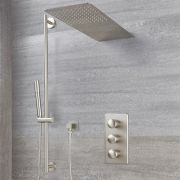 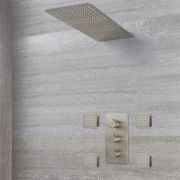 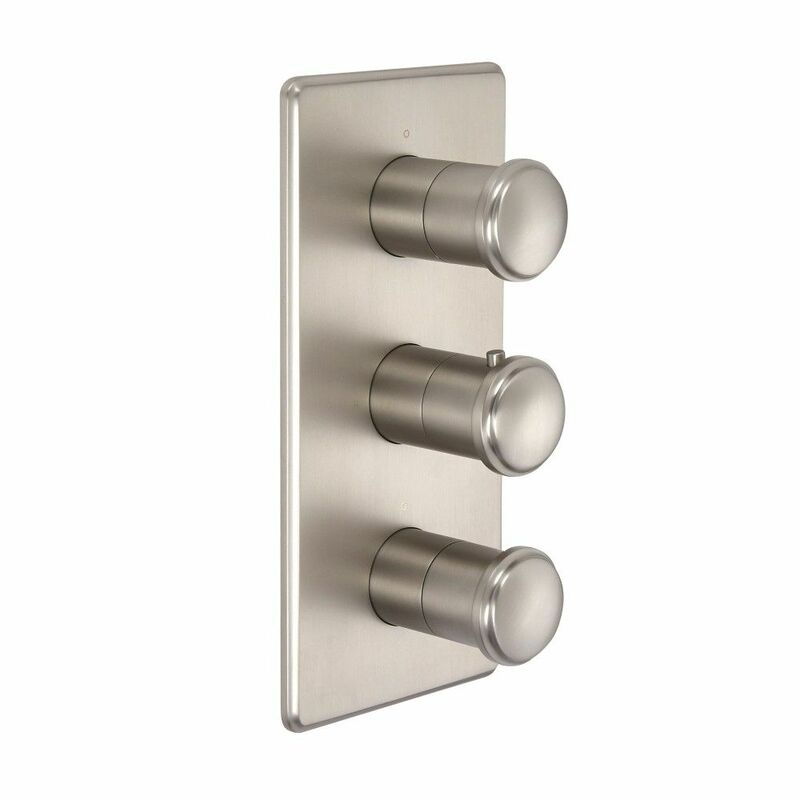 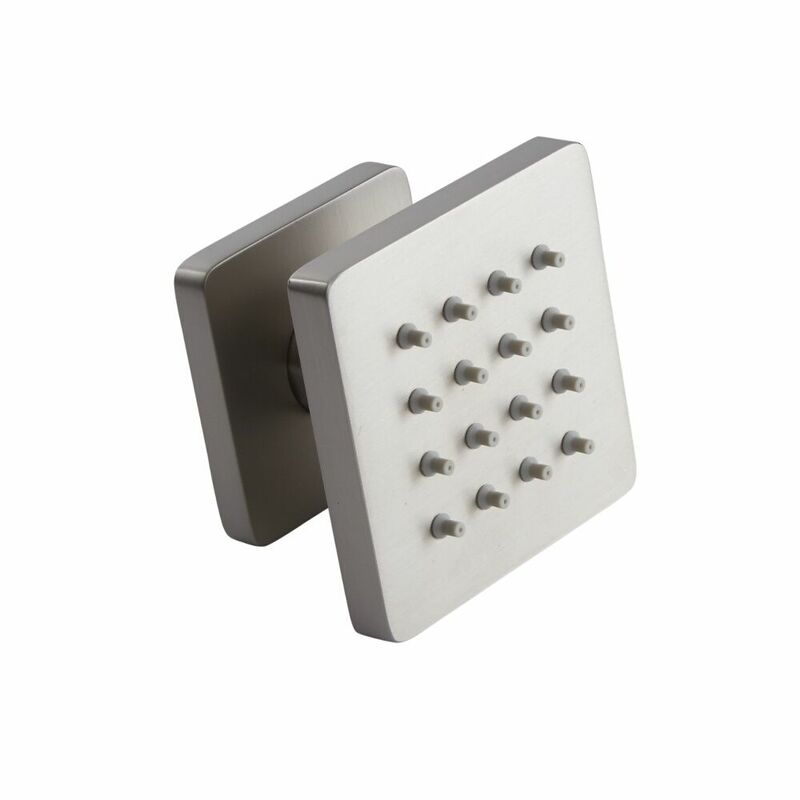 Manufactured from solid brass and incorporating a brilliant brushed nickel finish, the thermostatic shower valve features a diverter which allows you to switch between the two outlets on the shower head, as well as the body jets. 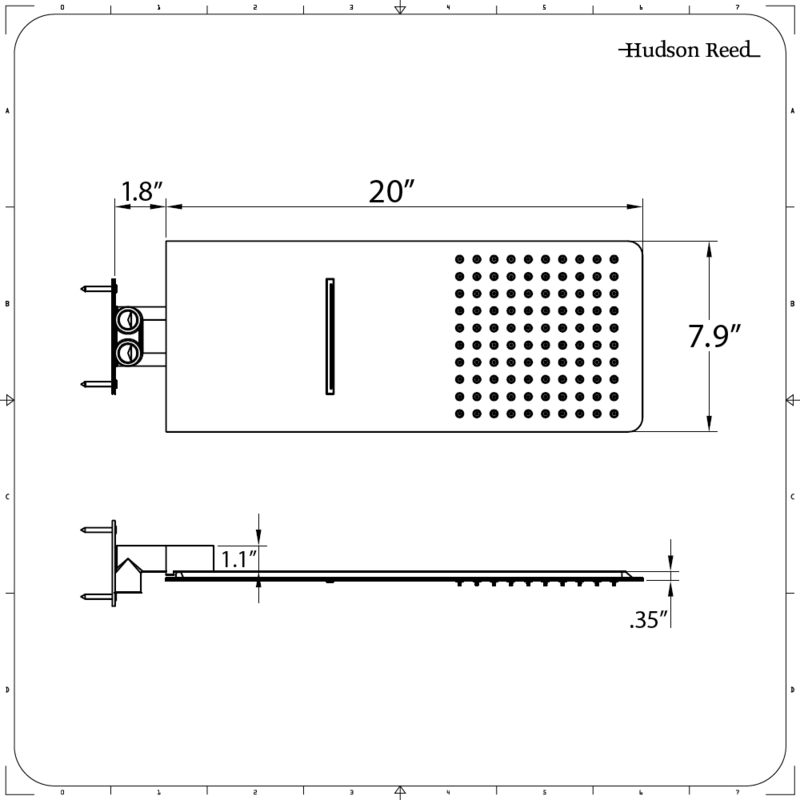 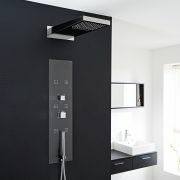 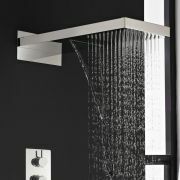 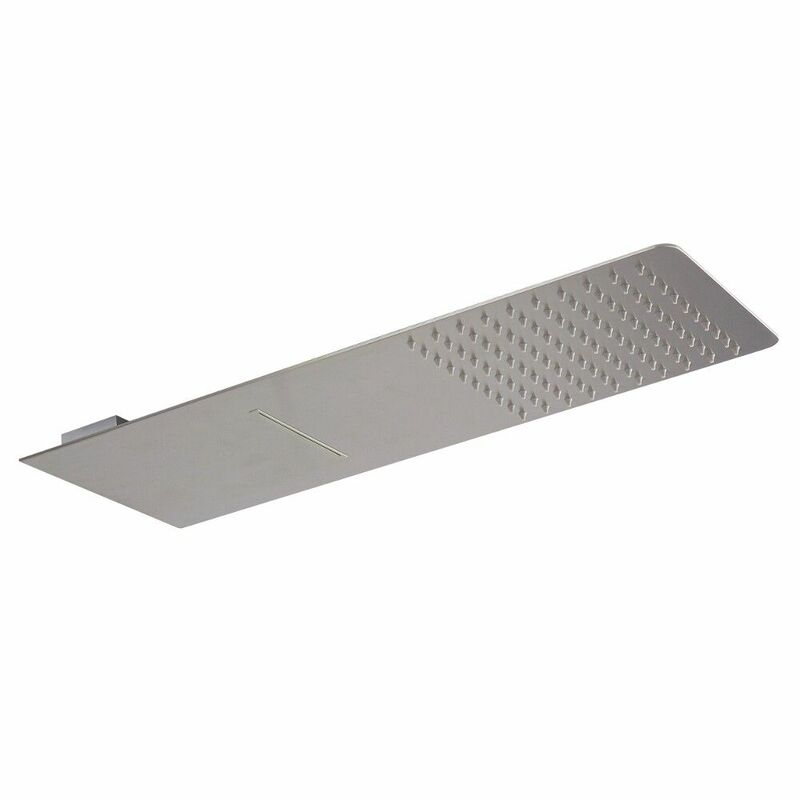 It makes use of anti-scald technology to ensure a safer showering experience.